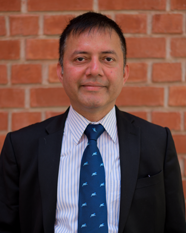 Dr. Himanshu Rai is a Professor at IIM Lucknow, a philosopher and an educationist – an alumnus of Indian Institute of Management, Ahmedabad, he has been teaching PG and Doctoral students at Indian Institute of Management, Lucknow since 2006. He had a two-year stint (1 September 2014 to 31 August 2016), as the Dean, MISB Bocconi (India Campus of Bocconi, Milan), and Professor, SDA Bocconi School of Management, Milan, Italy, and earlier in the HR area at XLRI Jamshedpur (2005-2006). His core area is Human Resource Management, wherein he focuses on Negotiation, Leadership and Ethics. As the Convener of CAT 2010, he successfully led the largest format change in world’s testing history exceeding all global standards of testing. His profile includes a stint of over 8 years at Tata Steel, India, where he played a pivotal role in developing Quality Systems for his Departments and the Communication Policy for the Company. Himanshu aspires to help people become aware of their own selves, choices and opportunities that life presents them with, and realize their potential to the fullest. He believes that this can be best achieved through quality education. He sincerely believes in the power of academics to lead the change that people aspire to bring about in our society. His personal focus is not just academic excellence but achieving it on the basis of ethics, integrity and a need for self-actualization. His core area is Human Resource Management, wherein he focuses on Negotiation, Leadership and Ethics. Aspiring to bring in a moral compass to management education, he launched an elective course titled, “Justice, Ethics and Morality”, which has become one of the most popular courses now at the IIMs. He further helps his students discover themselves with a workshop called “Framing Identities and Roles through Exploration”. Himanshu is an alumnus, a Fellow of Indian Institute of Management, Ahmedabad (IIMA), where he completed his Fellowship (Ph.D.), on the topic: An Exploratory-Formulative Study of Executive Dispute Handling Capability: Morphology, Measurement and Modalities. Prior to this he completed his B.E, Electrical and Electronics Engineering, with first division from the Karnataka Regional Engineering College (KREC), now NITK. He is a recipient of the coveted N.T.S.E. Scholarship and later the Infosys Fellowship at IIM Ahmedabad. Himanshu has trained over 20,000 professionals, both in the private sector as well as the government. Some of his training interventions include “Training of Trainers” on Negotiation Skills for faculty and senior management of LBSNAA, Mussoorie, and subsequent training on Negotiation for Phase V IAS Officers (IAS with 27-30 years of service); Negotiation training for Indian (Indian Foreign Services) and Foreign Diplomats, Workshops on “Negotiation Skills”, Leadership, and Communication Skills for more than a hundred organizations in India and abroad. Himanshu provides strategic consultancy to the Government of India, and in particular, has audited programs sponsored by the Planning Commission of India. He also provides strategic consultancy to the state governments in areas of restructuring, strategic HR management, and employee development. An expert in interpersonal negotiation, he provides consultancy in negotiation to individuals and organizations. Best Teacher in HRM award, Dewang Mehta Award, 2017; Dainik Bhaskar Group, 2013. Infosys Fellowship for academic and research excellence at IIM, Ahmedabad (2000-2001). The Fellowship was awarded to 2 students in that academic year. National Talent Search Examination Scholarship from Government of India for academic excellence (From 1986-1991). The scholarship was awarded to 750 students from across the country in that academic year. ‘A’ Level Certificate and “Everest Base Camp” expedition certificate from Tata Steel Adventure Foundation for rock climbing and trekking expedition in the Garhwal Himalayas.